2 Nine Mile Road E, Pensacola, MLS# 812838: ERA American Real Estate Escambia Property For Sale in Northwest Florida, Schedule a Showing, Call Brandon Jordan of ERA American Real Estate Today! Fantastic Restaurant / Retail Pad Site Opportunity on BUSY Nine Mile Road Corridor. 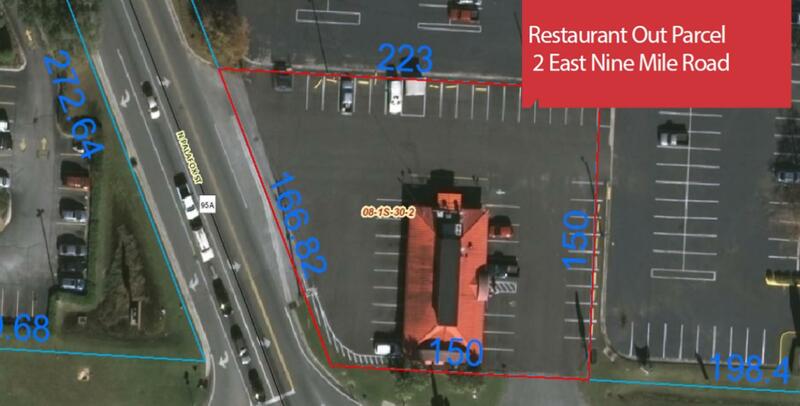 Stand Alone Restaurant Out Parcel at Ensley Square Shopping Center with over 150 Ft of frontage on 9 Mile Rd. 41,000 CPD. The Nine Mile area is booming. The property is situated at lighted, hard corner intersection with decel , median cut, and ingress from two streets. This information was last updated on 4/25/2019 11:38:49 PM.